My kids get up early. Most days they are both up before, or close to 6 AM. Couple that with school from 8-3 (Tuesday through Thursday - Monday and Friday they have half days), and come 6 PM my kids are on a one way train to Crankville. It is hard enough to get them to sit and eat all their dinner when they are like this, let alone get them to eat and then go upstairs to take a bath. There is the repeated chorus of "I don't want to take a bath!!" combined with writhing on the floor. Then the protest continues - "Why do we have to take a bath? We just took one yesterday? I don't stink! I am clean! Smell me!! I'm too tired to take a bath!" All too frequently there is some bribery on my part - an extra book, waiting up to see daddy, extra time to float in the tub, fancy bubbles, etc., and usually they take the bait and get in the bath. But I have a sure fire way to get them in the tub, no questions asked. 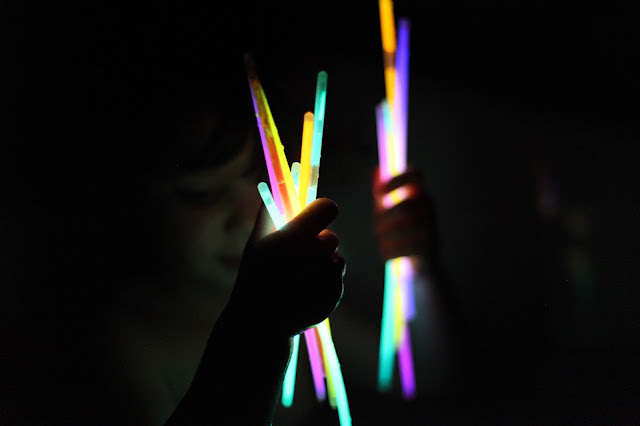 We had done this last year when we were living in the apartment a few times, but I totally forgot about it, until one of the girls found the glow sticks we had kicking around from Halloween. 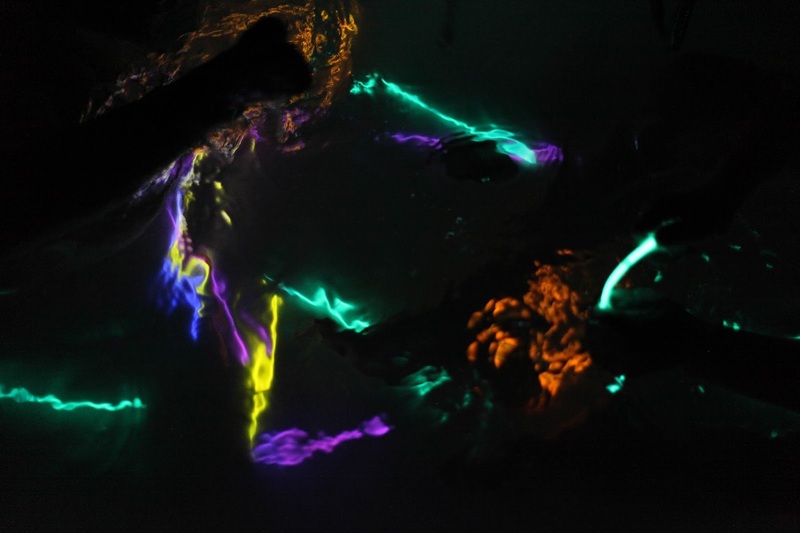 The past two nights the girls have actually asked to take a "glow stick" bath, each night running upstairs, racing to see who can get undressed first. Damn does that make the evening much more enjoyable!! For just $19.99 you can buy a pack of 300 of the 8" sticks, on Amazon.com, which are the bracelet size ones, and that will last you a crazy long time. I let the girls have 8 glow sticks a piece each bath and it is plenty. So if your kids protest the bath, get them excited with this simple and cheap idea. Just watch out for the crazy college flashbacks - wait, am I the only one that used to dance with glow sticks in college?? ?